The four-star Hotel Meyrick has a range of excellent short breaks and packages on offer, designed for those in need of a break away this spring/summer. 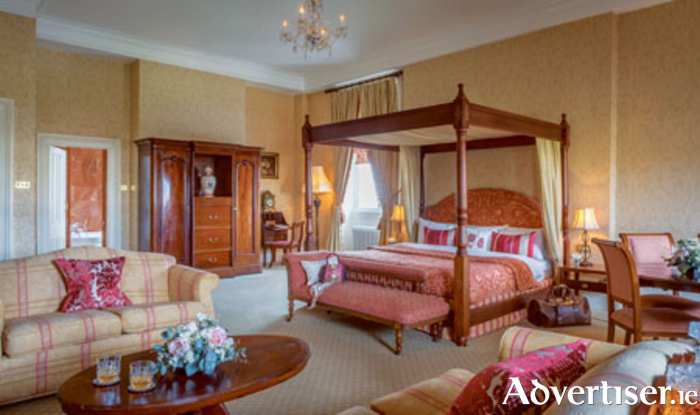 Iconic to Galway City Centre, Hotel Meyrick is renowned for its central location, style, elegance, hospitality, service, good food, and warm welcome. Overlooking Eyre Square, Hotel Meyrick is the perfect location for exploring all that Galway has to offer. Wander the cobbled streets of the city, cruise the River Corrib, take a trip to the stunning landscape of Connemara. Or stay city-bound and indulge in some retail therapy, enjoy afternoon tea in the hotel lobby or spend some well-deserved time in the hotel’s outdoor Canadian hot tub and Jacuzzi! The Gaslight Bar & Brasserie and hotel restaurant - No 15 on the Square - offer guests high quality and contemporary food options which are flavoursome and expertly presented, with a range of dishes available to suit all occasions, from a quick bite to eat to a night of indulgence. Both eateries offer locally sourced quality ingredients which are created into wholesome, nutritious dishes all served by a warm and welcoming team. The Square Spa & Health Club, on level five of the hotel, offers an extensive treatment menu ranging from luxury spa packages to beauty essentials and each treatment is tailored to an individual’s beauty needs. In addition guests can enjoy a relaxing soak in the outdoor Canadian hot tub or while away an afternoon in the peaceful relaxation room. Guests can choose to make Hotel Meyrick their destination for total escapism while the city of the tribes bubbles along with its lively charm to the backdrop of its medieval walls, cobbled streets lined with buskers, artists and of course shopping options. You can choose to explore and become part of the city of fun or simply make Hotel Meyrick your destination for a relaxing break.